St. Luke’s is leading the way in population health – taking accountability for the outcomes of care and the total cost of care for defined populations. But it takes more than St. Luke’s to do this. A third to a half of care for our patient population occurs outside of St. Luke’s Health System. Therefore, we need independent physicians and facilities to align with us around the goals of population health – better outcomes at a lower total cost of care, as opposed to the goals of fee-for-service medicine – see a higher volume of patients, provide a higher volume of services and participate in patients’ coordinated care. Independent physicians and facilities participate in this care through St. Luke’s Health Partners – a clinically integrated network that assumes financial risk for the care of populations. 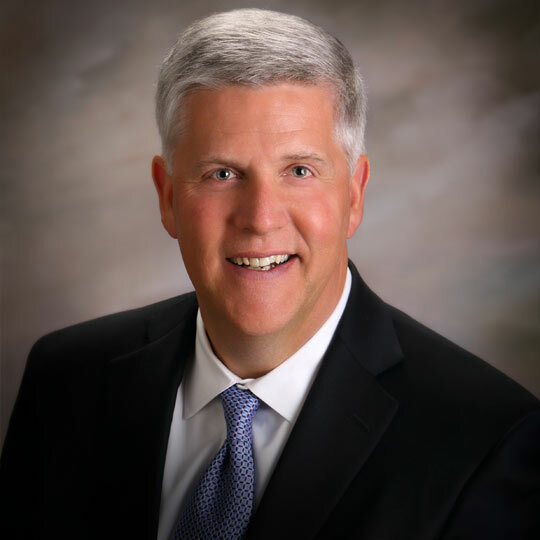 Here with a report about St. Luke’s Health Partners and the way that a clinically integrated network can better serve the needs of patients is today’s guest blogger, Dave Self, chief administrative officer for St. Luke’s Health Partners. You’ve driven past a construction project for months, and suddenly one day, up pops a new building ready to welcome occupants. In the rush of daily life, you’d gotten used to the building phase but weren’t really prepared for the grand opening. It’s an experience I’ve had occasion to live, in my role as vice president and chief administrative officer of St. Luke’s Health Partners (SLHP). On Jan. 1, 2017, SLHP had its “grand opening,” and I’ve heard expressions of surprise at the rapid emergence of this “new” value-based network. Except that we’re not new. We can trace the SLHP network back 15 years, to its origins as SELECT Medical Network, and to its pivot point seven years ago, when St. Luke’s Health System began in earnest to transform the delivery of health care within our communities. The quiet but critical work of creating a vehicle to transition from the fee-for-service model to one based on delivering value, improving health outcomes while decreasing the total cost of care over time, has been going on under the surface for more than a decade. Nonetheless, some folks were surprised when the construction project was suddenly open for business! In recent months, SLHP has been building on the foundational work achieved by St. Luke’s physician and business leaders, putting additional pieces into place to build a financially and clinically integrated network. To support SLHP’s success, St. Luke’s has invested in technology, hired industry experts, crafted an affiliation with SelectHealth and aligned provider compensation with clinical outcomes. True integration has entailed a physician-led governance structure and agreements with more than 2,200 participating providers, agreements that make them financially accountable for the health of a defined population of people and the clinical performance of the network. SLHP’s participating providers are also accountable for clinical performance, which encompasses meeting goals for evidence-based health outcomes and quality measures to ensure that patients are engaged and have access to resources that can improve their health. Much has been made of the small percentage of the population for which the vast majority of medical money is spent, but it’s not just the 5 percent or so of the population, typically accounting for 50 percent of the spend, with which we are exclusively concerned. Our definition of population health means taking accountability for everyone, from the healthiest to those with chronic and complex health issues. Let’s start with a 72-year-old man with several chronic conditions. He has been prescribed a half-dozen medications which he doesn’t always remember to take. He lives alone and has no real social interaction, other than the emergency department staff; he saw them seven times last year. St. Luke’s investment in a common electronic health record system and SLHP’s network management technology allow us to flag his record so the emergency staff knows there are supplemental resources available to him through SLHP. The network’s clinical professionals identify the patient as someone requiring extra attention and engage with him directly. The team can help coordinate care, creating a team of primary and specialty physicians and social services. His medication compliance improves and his chronic health conditions become more manageable. Because he has more energy and is eating better thanks to collaborations with community partners, his social connections improve. He is more active and happier. Going forward, he will likely be included in a technology-enabled home monitoring program through which his health can be checked by care specialists remotely, eliminating the need for unnecessary visits to the ED. She is a busy 48-year-old professional. Between career and her family, she doesn’t spend a lot of time focusing on her own health. Based on payer and physician data, the SLHP staff sees opportunities for her to improve her health and consults with her primary care physician. With early intervention from her physician, some health coaching and her engagement, this busy mother can take control of her own health and reduce health risks. Has a staff of physicians, nurses, pharmacists and other medical professionals who work with the hundreds of participating healthcare providers to improve the health of the people for whom we are accountable. Uses network management technology and analytics to turn mountains of data into actionable information used by our team and participating providers to understand the health of our members. Has agreements with federal agencies, major employers and insurance payers representing approximately 161,000 people receiving care through the network. Exists to improve health outcomes and lower the total cost of care for our members over time. The federal government considers healthcare insurance premiums to be affordable if they amount to 9.69 percent or less of the employee’s monthly household income. The median household income in Idaho is approximately $48,000, so the federal affordability guideline would calculate the amount an Idaho household could spend on insurance premiums at just $387 per month. Many premiums are in excess of this guideline, however, and deductibles, copayments and other out-of-pocket costs are on top of those premiums. Cost must be addressed, and SLHP has put a stake in the ground, deciding that value, not volume, can have the most significant positive impact for everyone involved. Through our accountable agreements with payers, we are taking accountability for the cost of care to reduce premium increases and, ultimately, decreasing costs for patients. There is no “easy button” for making the transition from volume to value. It’s difficult work, and it doesn’t happen quickly. But we have made a start, and we feel strongly that true population health is possible. Dave Self is chief administrative officer for St. Luke’s Health Partners, based in Boise, Idaho.